Guess what everybody? 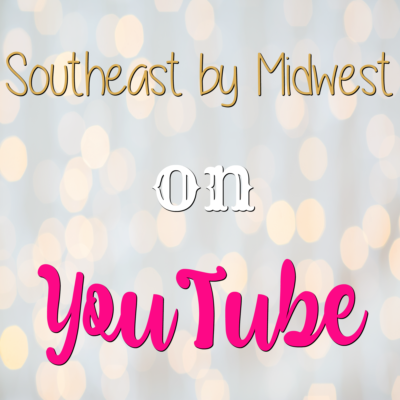 I was chosen as the Blogger of the Month for the February Indie Pickup! I’m so excited for this! 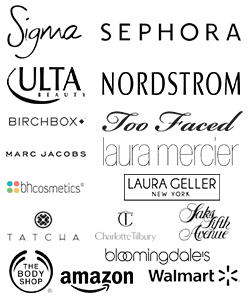 Essentially Indie Pickup is where each month, for a few days, a bunch of Indie brands come together and sell their products on one site with a cohesive theme and you can shop from so many different brands with only one shipping! There’s also a Polish Pickup as well. 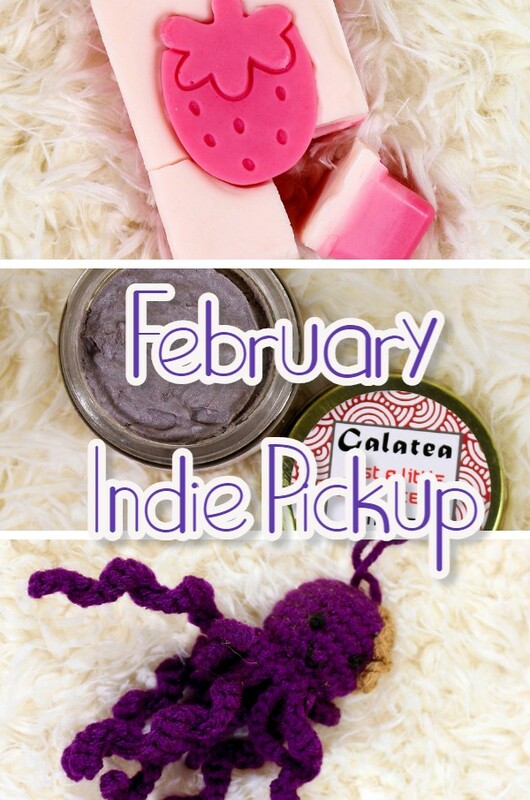 As I was the blogger for the February Indie Pickup several of the brands, but not all!, sent me some products to talk about to give you a little sneaky peeky at what the February Indie Pickup has in store for you. For more information check out the video below or just keep scrolling! 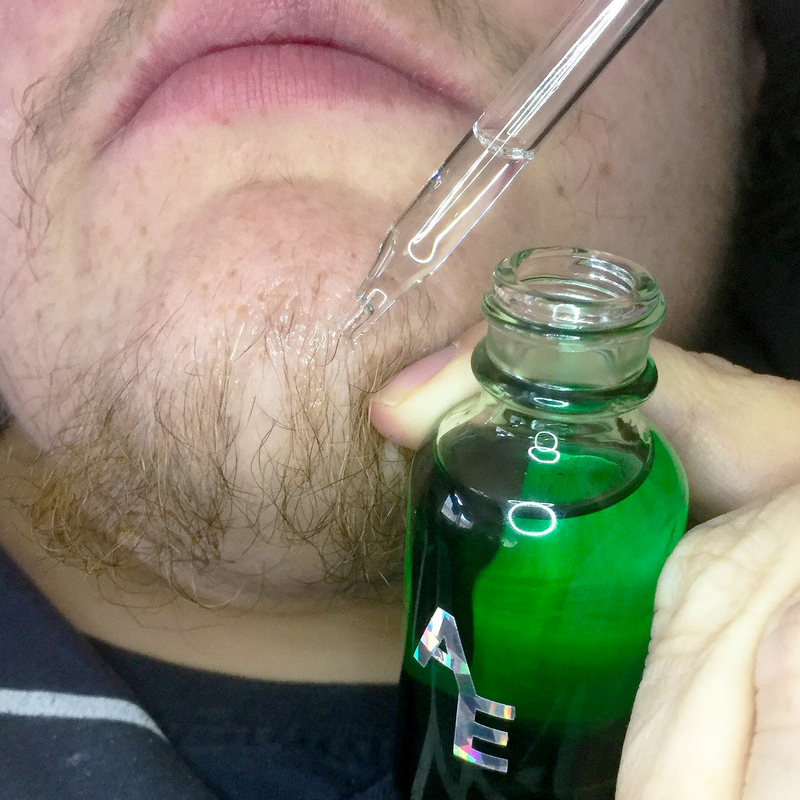 Alter Ego chose for their theme Fire and Ice and are showcasing that with a Peppermint based Beard Oil. This is a 2 oz. bottle with a glass dropper, it will cost you $7.50, and there is an unlimited stock. Bee’s Knees Lacquer partnered with Night Owl Lacquer and they chose the Bellatrix Lestrange vs Molly Weasley Duel as their theme. 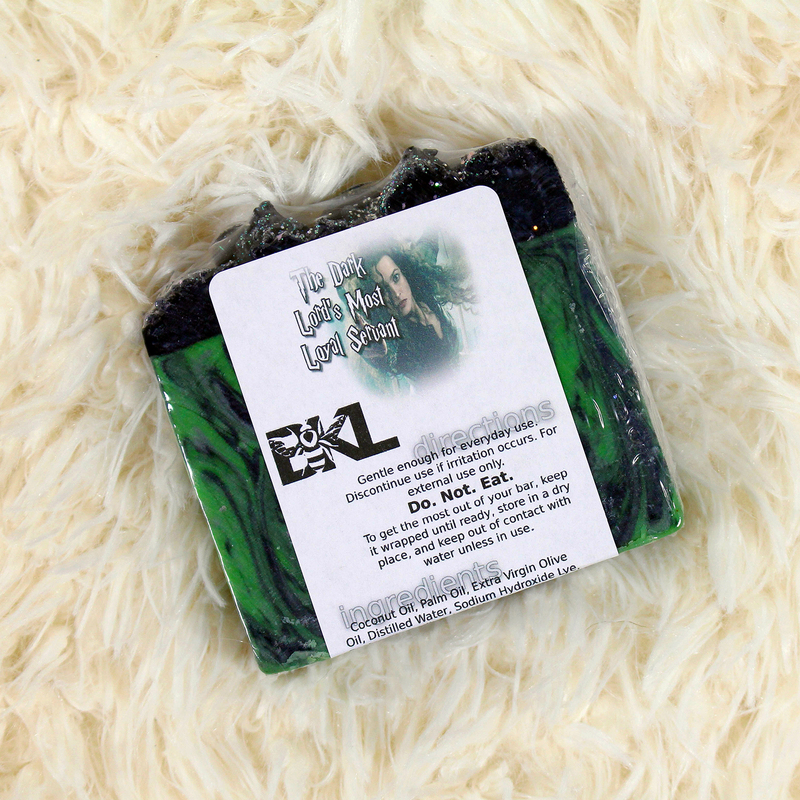 Bee’s Knees Lacquer is showcasing Bellatrix Lestrange with a green, silver, and black bar of soap called The Dark Lord’s Most Loyal Servant. 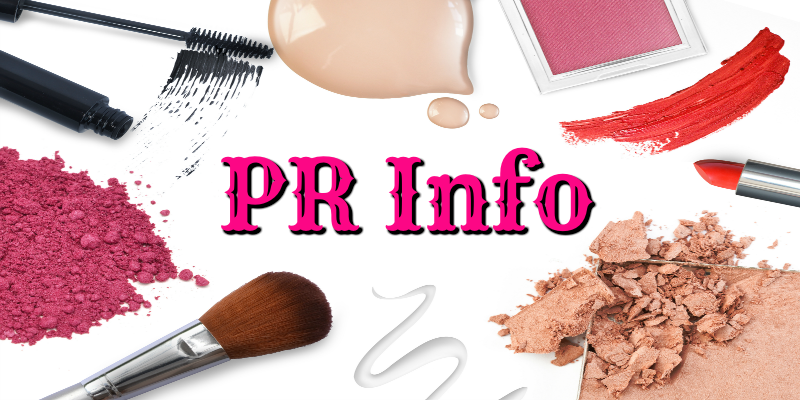 It is scented with patchouli, sandlewood, and light florals. The soap is 4 oz, it will cost you $8.00, and there will only be 40 available. Beyond the Nail chose for their theme Bonnie & Clyde and are showcasing that with two different sets of nail vinyls. 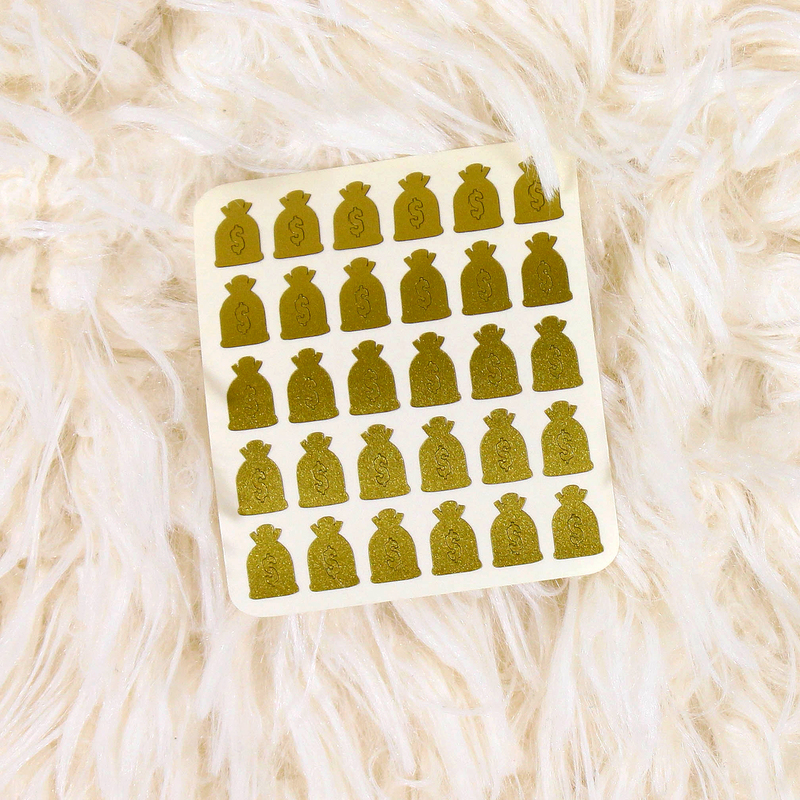 The first set are gold money bag and there are 30 decals on the sheet and the other set are bullet hole stencils with 9 on the sheet. 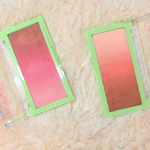 This will be a duo set, it will cost you $6.00, and there will only be 100 available. Chirality chose for their theme Rocket & Groot from Guardians of the Galaxy and are showing casing that with a cuticle oil. The Quit Smiling Ya Idiot Cuticle Oil has a woodsy sandlewood and teakwood scent and comes with a genius doughfoot applicator. 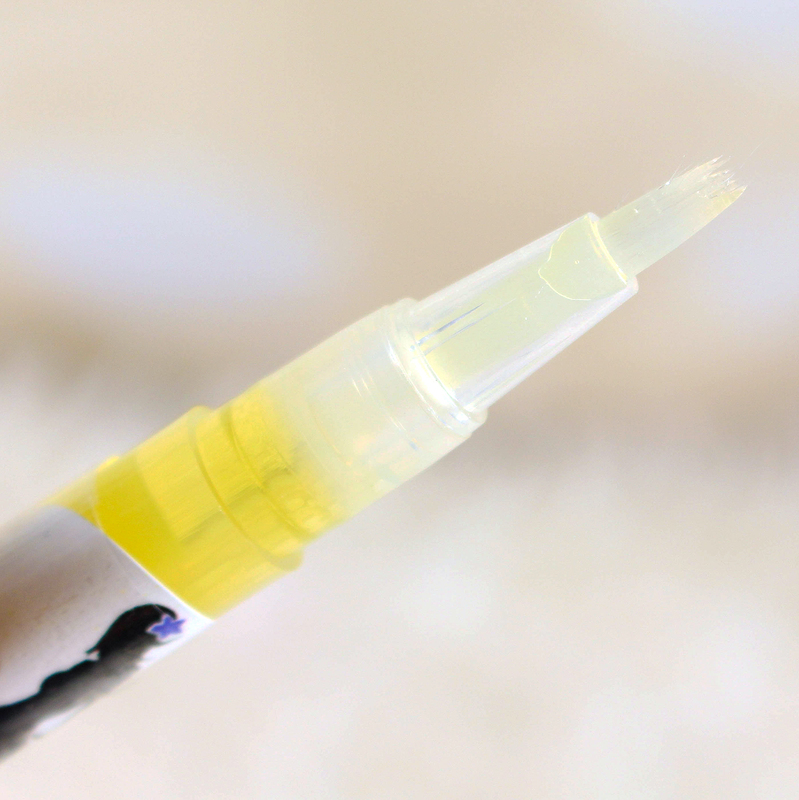 The cutilce oil is 12 mL, it will cost you $9.00, and there will only be 50 available. Fangirl Polish chose for their theme Mario & Luigi and are showcasing that with a 4-piece magnet set. 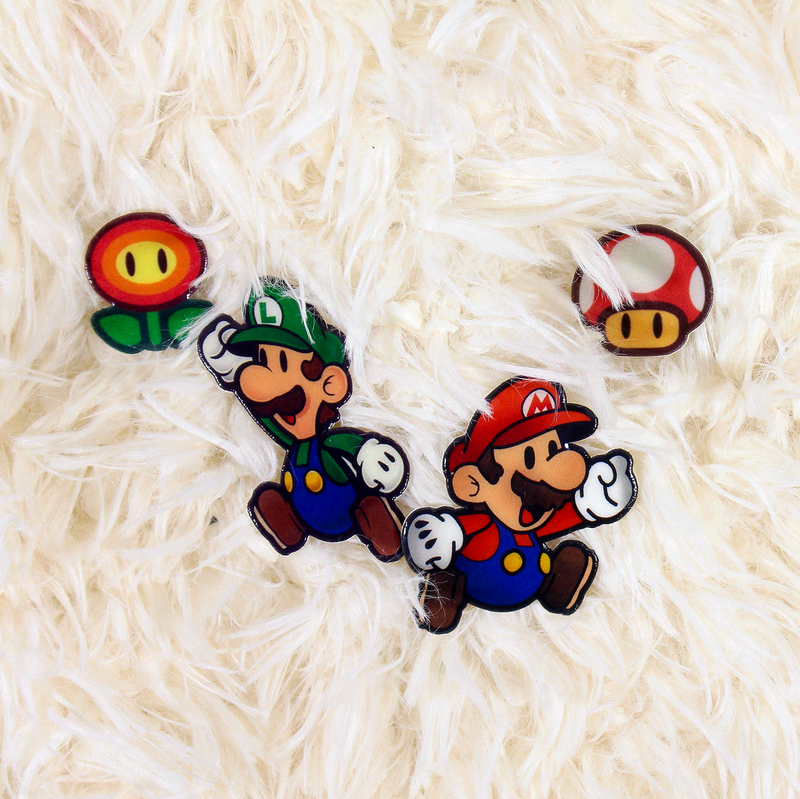 The It’s-a Magnet Set consists of a Mario magnet, a Luigi Magnet, a grow mushroom magnet, and a fire flower magnet. This set will cost you $8.00 and there will only be 20 available. Forty Winks chose for their theme Ross and Demelza Poldark and are showcasing that with a pair of earrings. 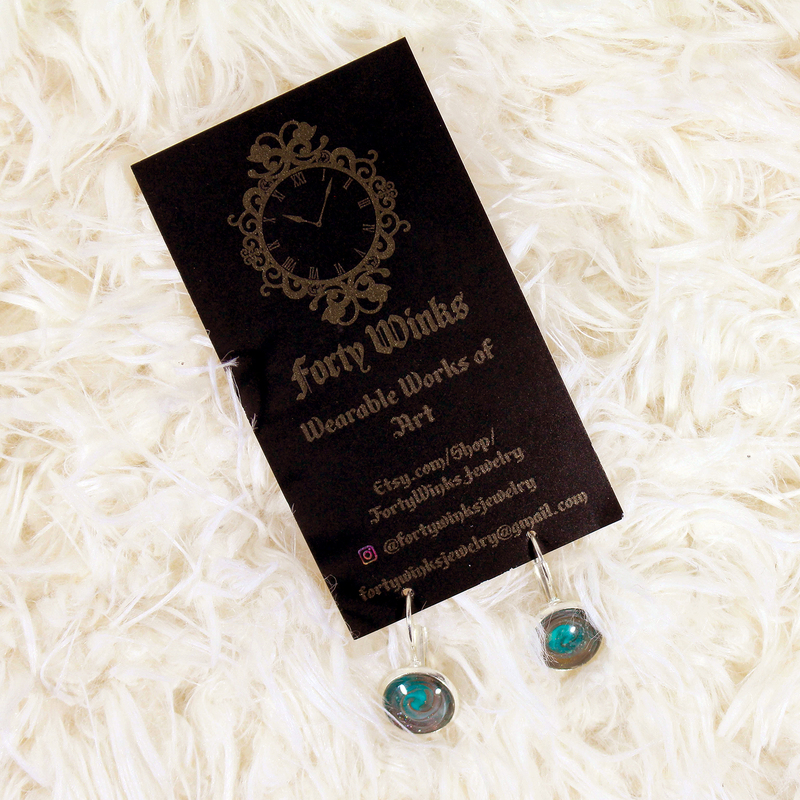 The All That Matters Earrings are hand marbled with 5 different indie lacquers and placed on french lever-back earrings. Buyer will have the choice of either 14 mm or 12 mm, it will cost you $11.00 a pair, and there will only be 18 of each size available. 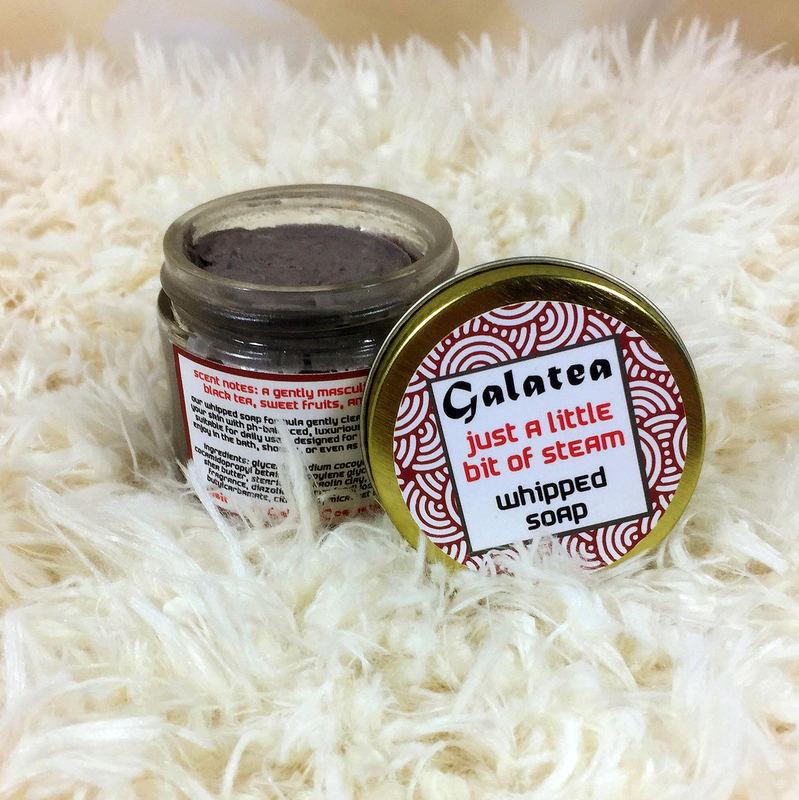 Galtea Cosmetics chose for their theme Frank-n-Furter & Rocky from Rocky Horror Picture Show and are showcasing that with a whipped soap. The Just a Little Bit of Steam Whipped Soap has a gentle masculine mask, black tea, sweet fruits and spice scent. It is 4.4 oz., it will cost you $9.00, and there will only be 25 available. Heather’s Hues chose for their theme Lucy & Ethel from the I Love Lucy Show, specifically the Chocolate Factory episode, and are showcasing that with a cuticle oil. 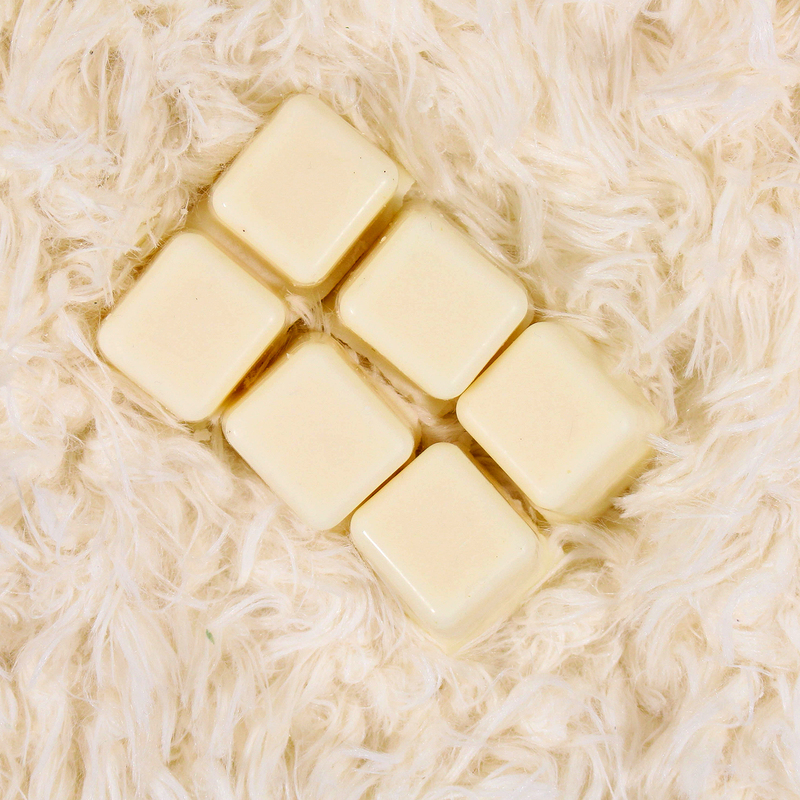 The The Chocolate Factory Cutie-cle Oil with Brush Tip has a milk chocolate, cocoa powder, confectioners sugar, vanilla, and warm caramel scent. This is 2 oz., it will cost you $5.75, and there will only be 50 available. Heaven Scent Treasure Candles chose for their theme Sailor Moon & Tuexedo Mask and are showcasing that with a his/hers perfume duo. Fighting Evil by Moonlight is the Sailor Moon scent (hers) and its profile is pomegranate, persimmon, green notes, black orchid, lotus blossom, liquid amber, mahogany woods, black violet, and cream accord; it also has a shimmer in it. Winning Love by Daylight is the Tuxedo Mask scent (his) and its profile is bergamot, lemon, silver fir, geranium, woods, leather, musk, and hints of vanilla. 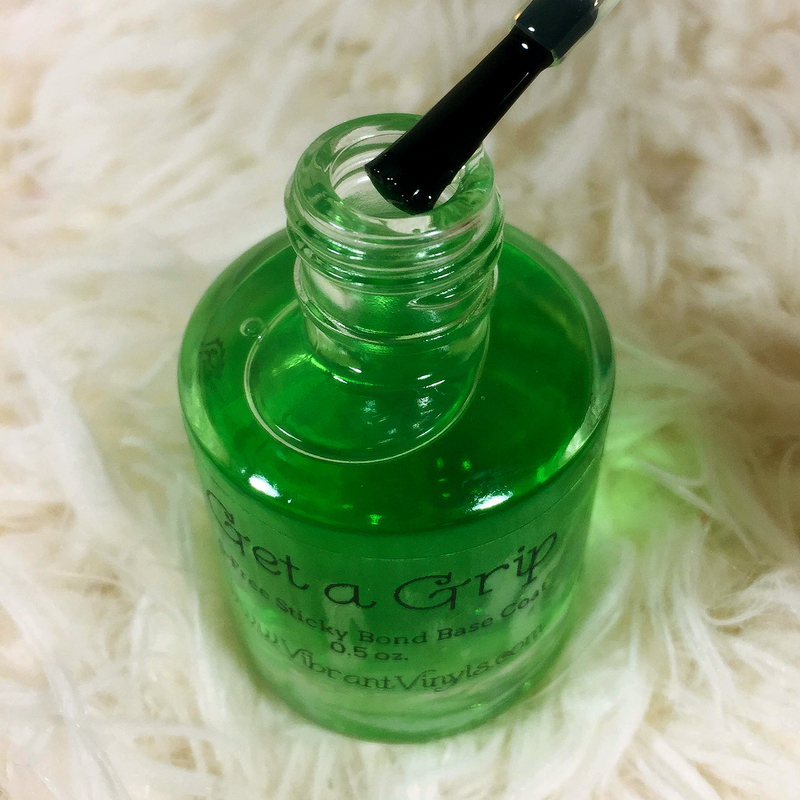 Each bottle has a roller-ball applicator and is 5 mL, this duo will cost you $16.50, and there will only be 24 sets available. Hemlock Doxy chose for their theme Sea & Sky and are showcasing that with a candle. 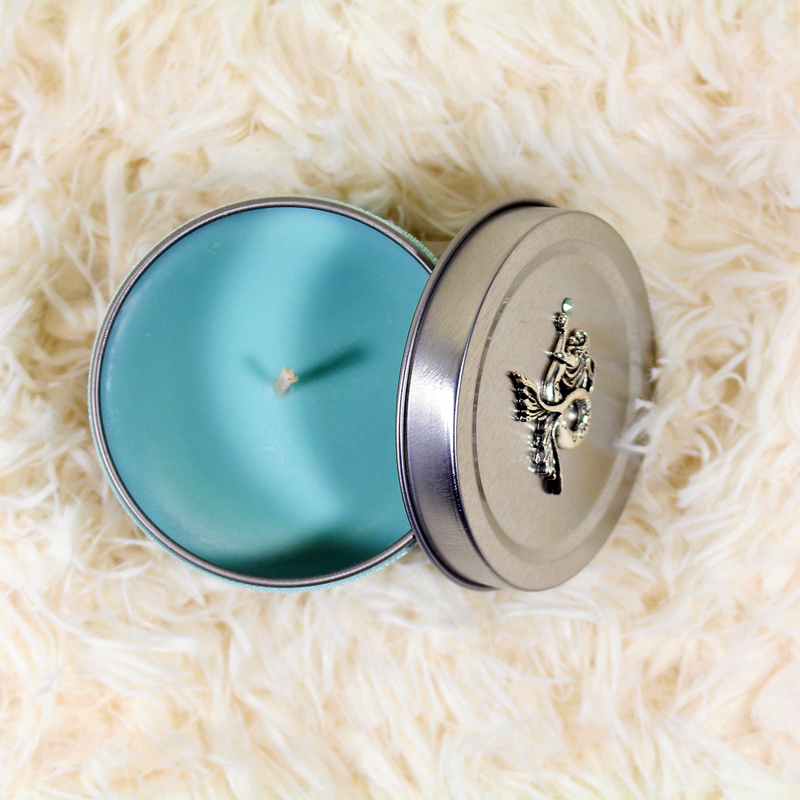 The Ocean Depths Soy Candle is a pale blue with a very nice ocean scent. This candle also comes with a hair tie/ribbon, it will cost you $18.00, and there will only be 20 available. LynBDesigns chose for their theme Statler and Waldorf and are showcasing that with a wax melt. The Sarcastic Comment Wax Melt is a blend of buttered popcorn, vanilla, and cinnamon. It is 4 oz., it will cost you $4.00, and there will be an unlimited stock. As mentioned previously, Night Owl Lacquer and Bee’s Knees Lacquer partnered together for the Bellatrix Lestrange vs Molly Weasley Duel, Night Owl Lacquer is showcasing Molly Weasley with a hand stamped metal cuff bracelet. 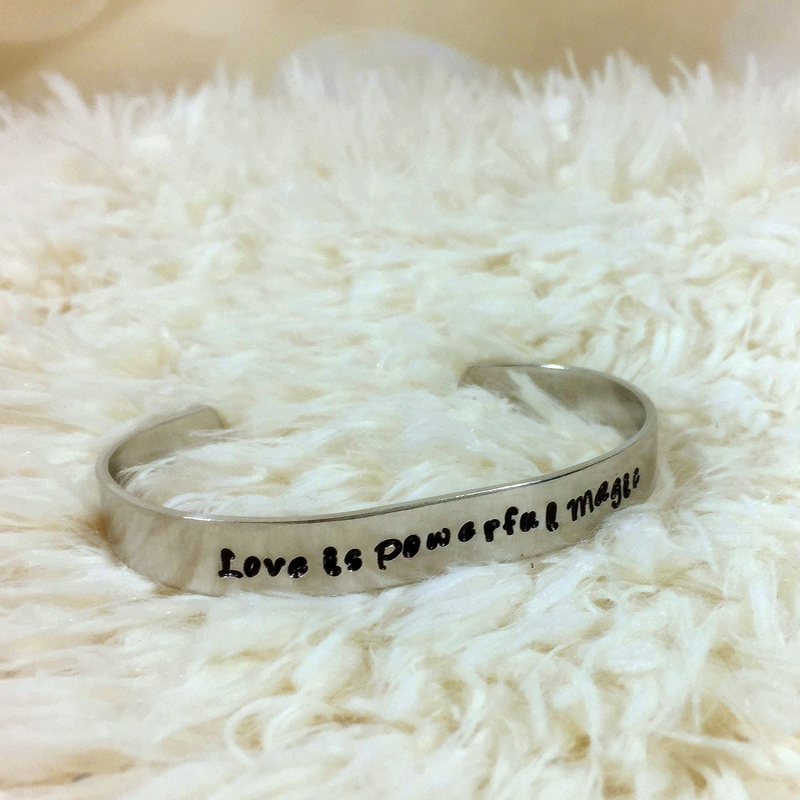 Love is Powerful Magic is stamped onto a 3/8″, 14 gauge, pure aluminum bracelet; it will cost $11.00; and there will only be 20 available. Northern Star chose for their theme Scully & Mulder from X-files and are showcasing that with a jelly soap. UFOhhhhh! 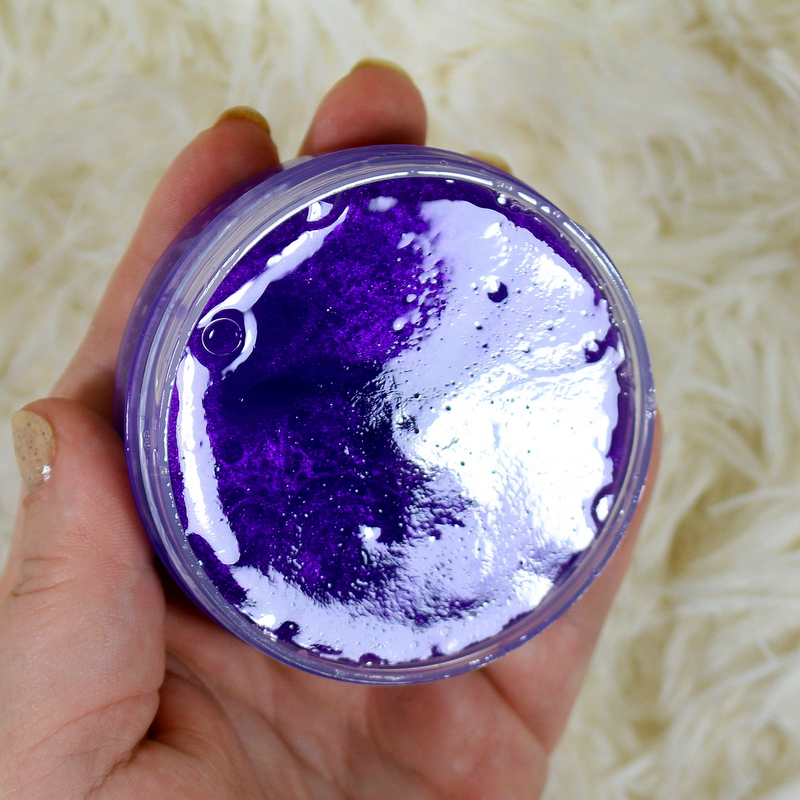 Jelly Soap is a beautiful purple soap that is ginger ale scented and houses a cute glow-in-the-dark alien inside. The jelly soap is 2.2 oz., it will cost you $5.75, and there will only be 25 available. 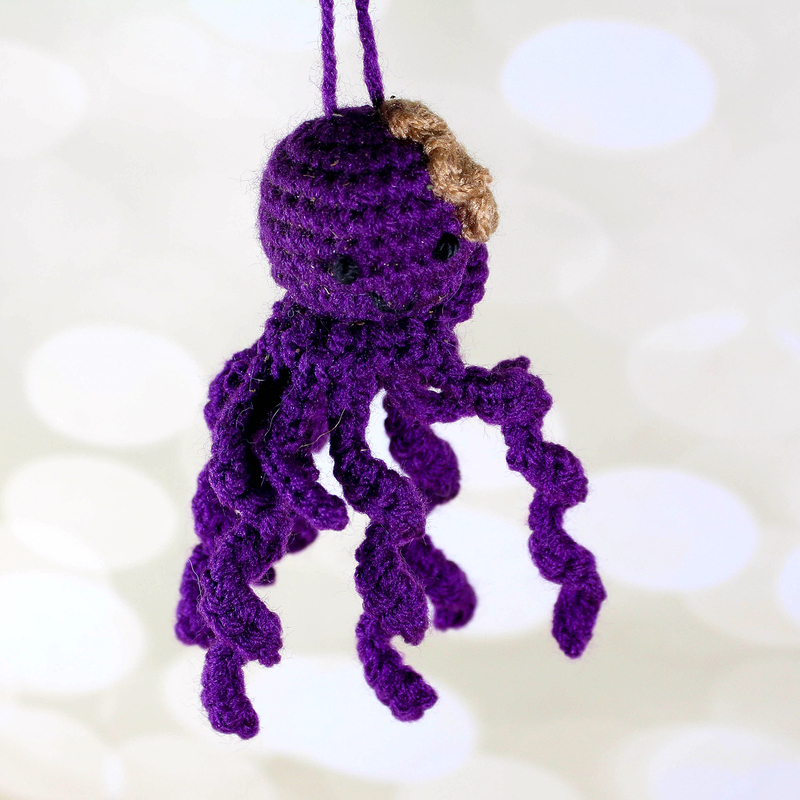 Off the Hook Creations by Jessica chose for their theme Peanut Butter Jellyfish and are showcasing that with a cat toy. Peanut Butter Jellyfish is a jellyfish with a smidge of peanut butter on it and can be purchased with cat nip or without. You are getting one jellyfish, it will cost you $5.00, and there will only be 30 available with catnip and 10 without. Pepper Pot Polish chose for their theme Gin & Juice and are showcasing that with a bath fizz. The Gin & Juice Bath Fizz is scented with blood orange, pine, rosemary, club soda, and ginger. The bath fizz is 5 oz., it will cost you $7.00, and there will only be 40 available. Pi Colors chose for their theme Mike & Sully from Monsters Inc. and are showcasing that with a cupcake soap. Put that Thing Back Where It Belongs or So Help Me! 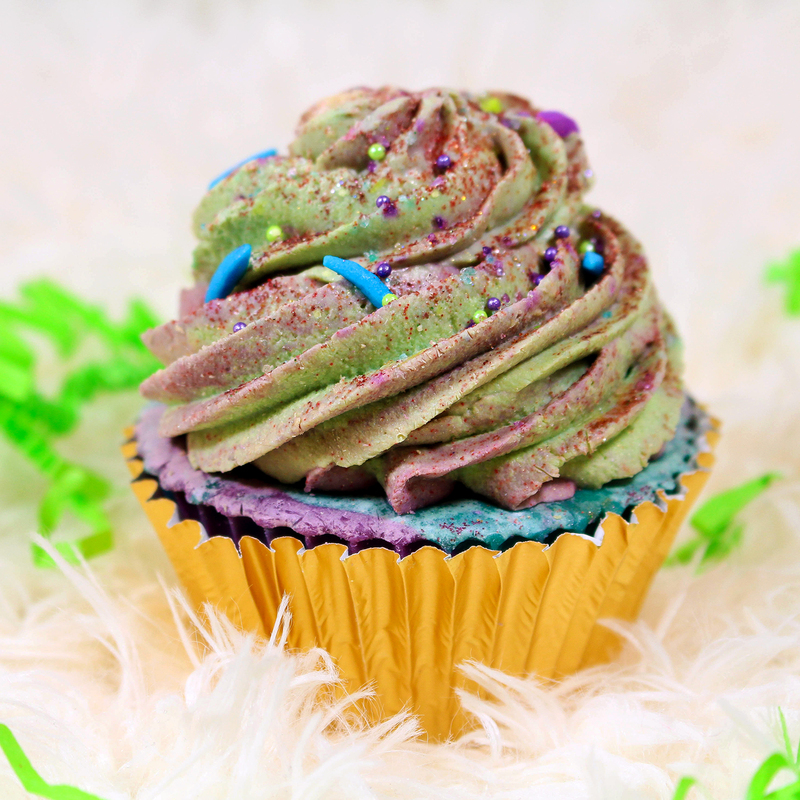 Cupcake soap is spice and berry scented while being colored with Mike Wazowski’s signature green at the base of the cupcake and a swirl of Sully’s blue and purple at the top, the frosting is a mix of the three colors. The soap is about 3 oz. 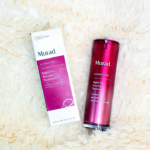 which will grant you multiple uses, it will cost you $8.75, and there will only be 35 available. Sweet Sage Scents chose for their theme Blush & Bashful from Steel Magnolias and are showcasing that with a wax melt. 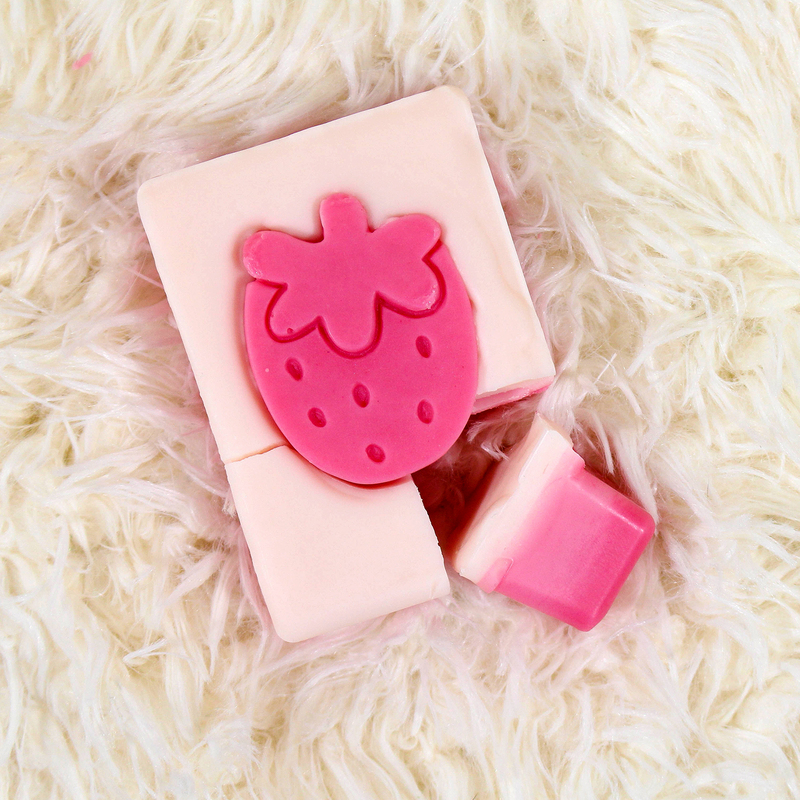 Blush & Bashful wax melt is a blend of strawberries and champagne with raspberry, cranberry, peach, vanilla, and musk. The wax melt is 3.5 oz. and there will only be 30 available. The Soapy Chef chose for their theme Two Fat Ladies, which is a cooking show, and are showcasing that with a wax melt as well. Chocolate Pye Wax Melt is a chocolate and almond scented wax melt and the recipe for the actual tart comes with the purchase. The wax melt is 4 oz., it will cost you $6.50, and there will only be 75 available. Vibrant Vinyls chose for their theme Chip & Dale, the squirrels…, and are showcasing that with a base coat. 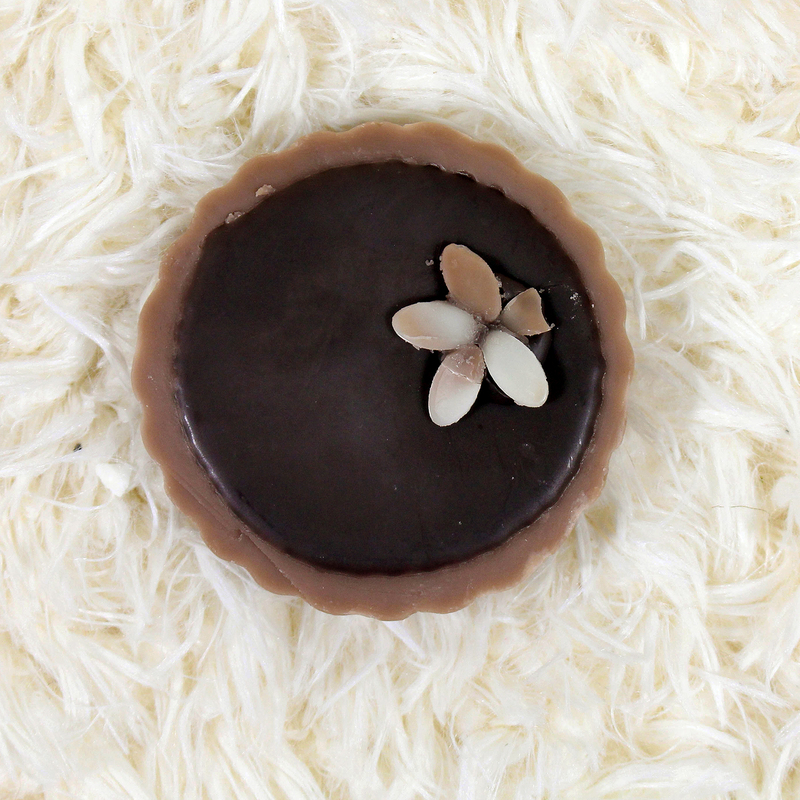 The Nuts About You Scented Base Coat is scented with almond extract, chopped almonds, and dark rum. You will also be able to purchase an unscented base coat as well. This will cost you $7.00 and there will only be 250 available. Wandering Songbird chose for their theme Legolas & Gimli from Lord of the Rings. A Strange Friendship is a necklace that is made with indie polishes and comes on a corded string with a 2 inch extender. 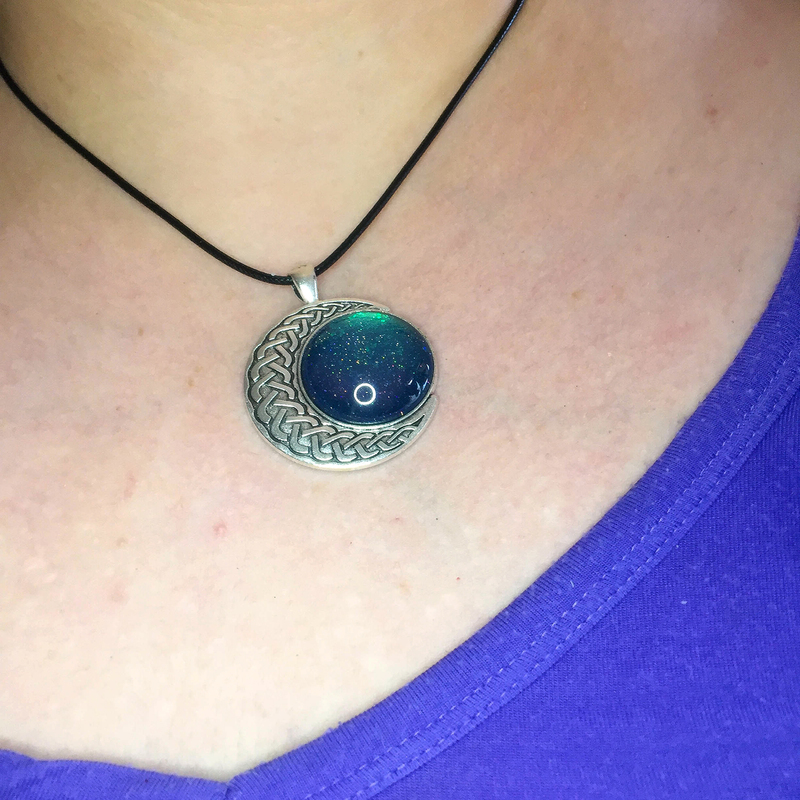 This necklace will cost you $18.00 and there will only be 15 available. As I mentioned previously, not all brands sent me products so there are a LOT more products to choose from for the February Indie Pickup and I didn’t touch on ANYTHING in the Polish Pickup! 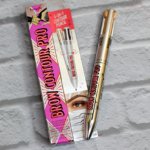 What a cool selection of products! Congratulations for being selected as blogger of the month. My cats would love that cat toy! That’s great that you’re the spokeswoman this month. Honestly, so many cool things. That jelly soap is incredible and I adore the necklace. Lots of neat brands here! I love Poldark!